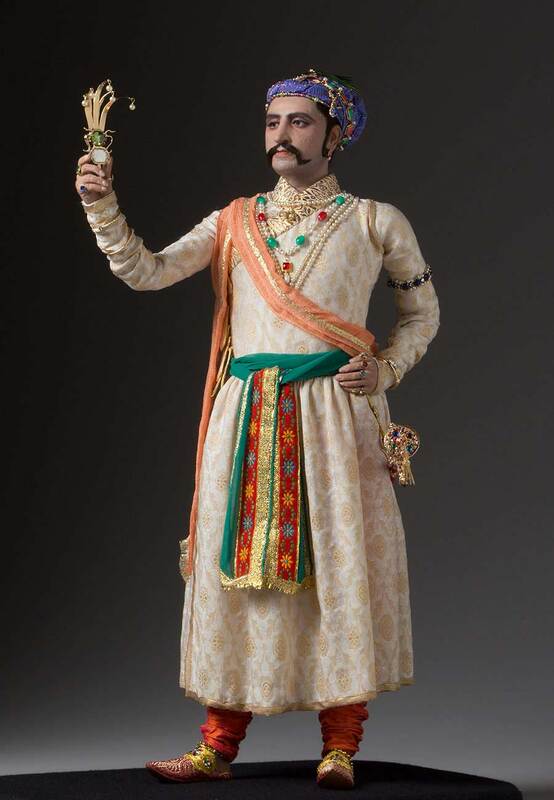 The seventeenth century Mughal Emperor of India, Shah Jahan was just one of a long line of regional descendants of the Great Mongol Genghis Khan. He spent most of his life eliminating contenders for his father’s throne. His military efforts were mixed, and he eventually achieved his goal with immense bloodshed. However, his reign is credited as the outstanding period of Indian architecture. Jahan built the Moti Masjid (Pearl Mosque) and the more famous Taj Mahal. This later has been attributed to his remarkable second wife Mumtaz Mahal. Current historians have begun to question his motivations in her regard. Was it love or guilt that built the Taj? 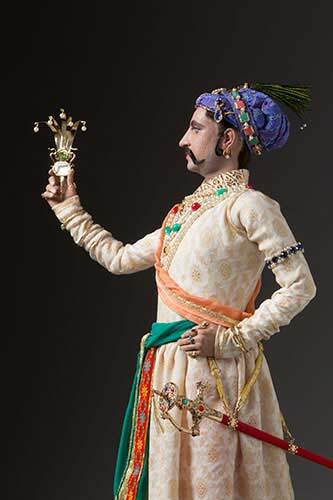 This Historical Figure was inspired by a 17th Century painting of the Shah. Note he holds a fancy jewel containing a remarkable gem, a huge table diamond, the size of a calling card and a quarter inch thick. 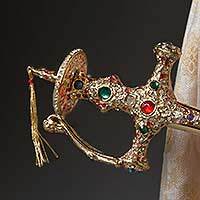 Shah Jahan was the collector of many famous gems still in circulation today, and worth millions. 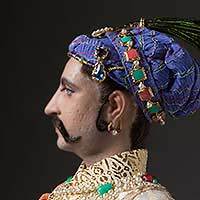 The more learned about him, the less appealing Shah Jahan became. He was certainly no hero.